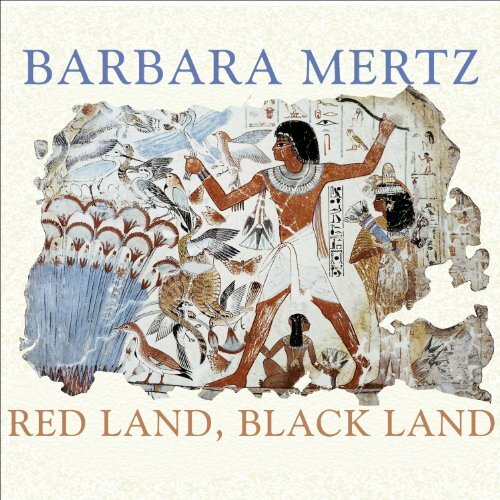 In this updated version of the classic of popular Egyptology, Barbara Mertz combines her doctorate in Egyptology at the famed Oriental Institute of the University of Chicago with a life-long enthusiasm for ancient Egypt. Her love of the subject is contagious and makes her the perfect guide to ancient Egypt for the student, the layman, and those who plan to visit or have visited the Nile Valley. Should History be this much fun? The story of the world's greatest civilization - spanning thousands of years - is full of epic stories, spectacular places, and an evolving society rich in inventors, heroes, villains, and pioneers. The story of the world's greatest civilization spans 4,000 years of history that has shaped the world. It is full of spectacular cities and epic stories of a constantly evolving society peopled with inventors, heroes and heroines, villains, artisans, and pioneers. Egyptian history is fascinating, this book is not. "The Rise of the Scientists Who Study Dinosaurs"
Esteemed Egyptologist Barbara Mertz updates her widely praised social history of the people of ancient Egypt, which was originally published in 1968. 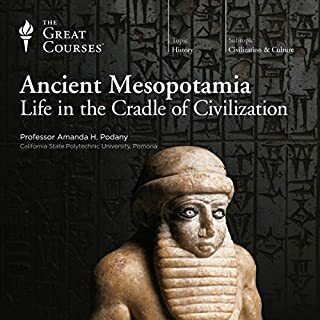 Combining impeccable scholarship with a delightfully personal style, the author reconstructs the life of the Egyptians from birth to death, and beyond death, too. She also presents much fascinating detail on the building of the pyramids and the intricate art of mummification. 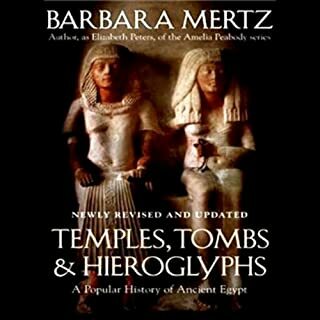 Students and laymen alike will enjoy the wealth of authentic material on every aspect of Egyptian life that Mertz provides. This book was an absolute delight. The narrator understood the cheeky, frank and fun style of the writer, and made it very engaging to listen to. The wide variety of topics covered in Ancient Egypt gave you a great overview of life and times. The finely detailed particulars are related to us with a modern sensibility, and an scholarly intelligence that make you want to learn more. It's clear the writer adores her subject matter. It's like sitting down to have a feisty professor aunt tell you her favorite stories from Egypt. My 7 and 10 year old daughters who study a lot of history as home schoolers, LOVE this book. We listen to it every day during meals and in the car. Full of information which brings ancient Egypt to life in an entertaining manner. For adults and young history buffs, a great listen! WHAT A GREAT LISTEN ! This book was a real surprise, I mean- what can you really expect from this title? Well how about a superbly written, warm, articulate, intelligent, insightful, memorable experience. In other words, Non-fiction at its best. Though its been years since I listened to this-I can still hear the narration in my head, partly because I relistened to parts of it repeatedly-sure, but mostly because the book and narration worked so well together and told a surprisingly great story, obviously one memorable enough for me to go back years later and still be able to remember how good it was.and want to review it. It was great to read a book about ancient Egypt by a real scholar. She dealt firmly but humorously with pyramidology and other esoteric nonsense. Her discussion of Egyptian mathematics and brother-sister marriage was enlightening. I appreciated the author's faithfulness in not straying beyond the evidence. A thoroughly good read. Would you consider the audio edition of Red Land, Black Land to be better than the print version? What was one of the most memorable moments of Red Land, Black Land? Which character – as performed by Lorna Raver – was your favorite? As a historian, I've been through countless histories and this is the most enjoyable one I have ever read/listened to, historians take themselves far too seriously. Read the companion book to this one, then take on this prolific authors works filled with the sam,e kind of humor, Barbara Michaels and Elizabeth Peters. Excellent introduction to the subject. Has much detail and is not overtaxing. I recommend this as an entry level reading. The book was very interesting and well narrated. The author included enough humorous asides to keep things from getting too dry. Speculation was clearly identified as such, and kept to a minimum. 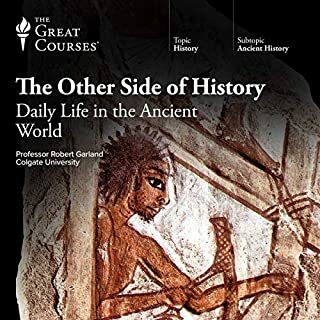 Given the available sources, the author did an admirable job of explaining daily life in ancient Egypt, including the various social classes. Gives some wonderful insight how the ancient Egyptian life still has affect on our Modern Life. Would you recommend Red Land, Black Land to your friends? Why or why not? Probably if that person has a strong interest in ancient Egypt. 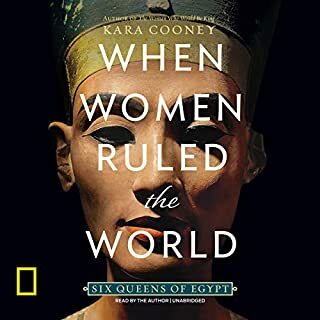 I enjoy documentaries and had a general interest in Egypt and thought this would be right up my alley. The first half or so I was fairly intrigued and definitely learned new things along the way. By the second half it really felt like it was dragging and that certain facts kept repeating themselves. There also isn't as strong a narrative to this as I would have liked. The chapter order was likely logical to the historian author but it's difficult to understand cohesively if listening. Overall I would say it was enjoyable, just understand it might start to feel slow and less interesting later in the book. What does Lorna Raver bring to the story that you wouldn’t experience if you just read the book? The narrator was excellent. She was probably the best part of this book. The author clearly has a wry sense of humor and I felt like the narrator brought that out, like she was telling me all this herself, humorous anecdotes included. I liked the content for an overview of ancient Egypt although not all subjects were dealt with or dealt with adequately or accurately. Overall I liked the narrator's presentation. However, the usual and inconsistent pronunciation used - with diphthongs as if some of the god names went through a Great Vowel change - was jarring. This along with the missing illustrations of the book made me wish I bought the book instead. Not everyone is going to like the style of this book. 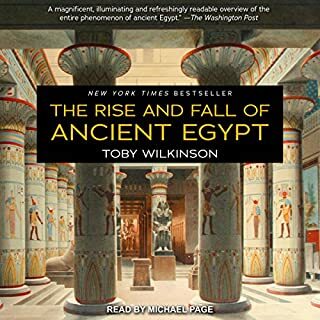 It is written (and by the way brilliantly read) very much like a knowledgeable older relative who is holding a cup of tea and chatting amiably about different aspects of Ancient Egyptian life. 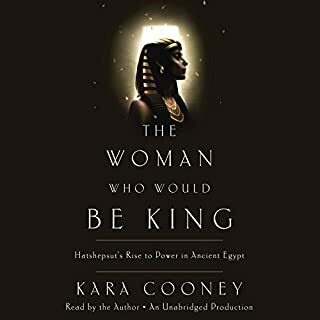 If you like your history delivered in sober lecture-like style then this might seem rather too friendly and relaxed, but if you just have an average interest in what it was really like to live in ancient Egypt then this book is for you. There is plenty of humour, and you could sometimes believe the author is making it up as they go along, yet I dare say there has been plenty of scholarly research behind it. The subjects cover all aspects of life, but I was surprised when I heard chapters on pyramid building and embalming, neither of which are really much to do with ordinary life for most Egyptians. If the author has sometimes strayed into more certain if exceptional territory, then it does not dominate the book, and most of the time we learn about food, housing, social conventions and that kind of thing. It's all very gentle and relaxed, and the reader does a superb job of passing that style on, making you think you are listening to the author herself. What you won't hear is lists of pharaohs and their achievements, although a little knowledge of the history of the civilisation does help. What I am calling accessible some might call patronising, but I guess that depends on how you like to hear your book. I've read plenty on ancient Egypt, and had no problem with the way this one was written. For those with an interest in ancient lives this book is definitely recommended, but those that prefer dry, scholarly works might like to give it a miss. I couldn't finish this. The combination of patronising, folksy content and condescending 'I'm talking to really stupid children' delivery drove me up the wall. Ancient Egypt deserves better than this. Listen to Herodotus instead.